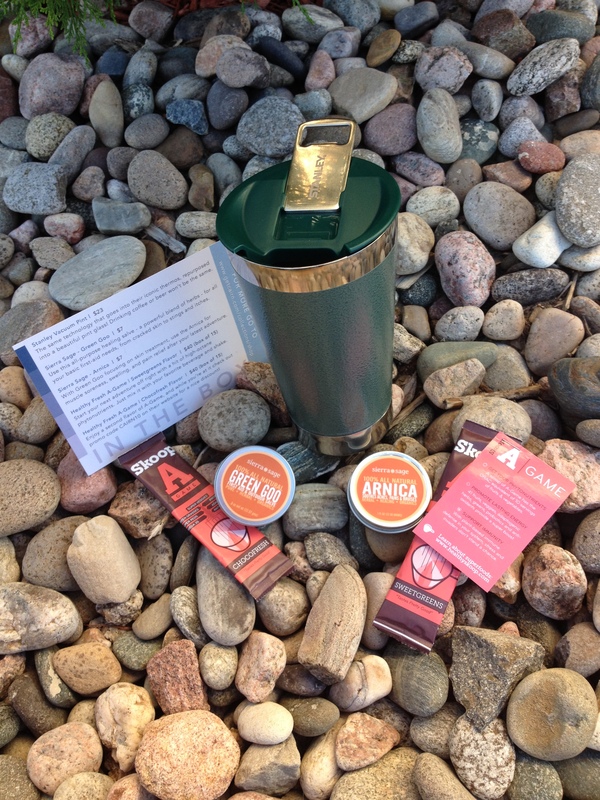 Subscription Boxes for Outdoors Aficionados? Yes Please! I’m a bit out on the loop on anything new or cool. I don’t have cable TV, and I rarely listen to the radio, so the latest craze is sometimes lost on me. Earlier this spring, I found out there’s such a thing as subscription boxes when we got an opportunity to have an online chat with the Social Media manager for Birchbox. I was intrigued. It’s like a birthday present every month! That you pay for! So, me being pretty lo-maint, I wasn’t interested in getting boxes of makeup or craft supplies each month and I started googling for subscription boxes for the outdoors. I was actually thinking I should start one up. Don’t know why I thought I could pull that off with full-time work and part-time school, but hey, I’m a dreamer. This is where Cairn comes in. It’s a monthly subscription ” of carefully curated gear [that] will show up at your door”. It’s the only subscription service for us outdoor nerds that I could find. And it’s just getting started! So I watched the company for a while and read reviews online. The boxes were arriving with one awesomely cool piece of gear, and a collection of smaller items. People were getting Hydro Flasks, and hammocks, and LifeStraws! The subscription cost $25/month with free shipping, but you were always getting at least $35 worth of outdoors items, so I signed up! Here’s my review of Cairn’s August and September Boxes! This was my first box, and when it arrived in the mail, it was so light, that I thought they forgot to put stuff in it! 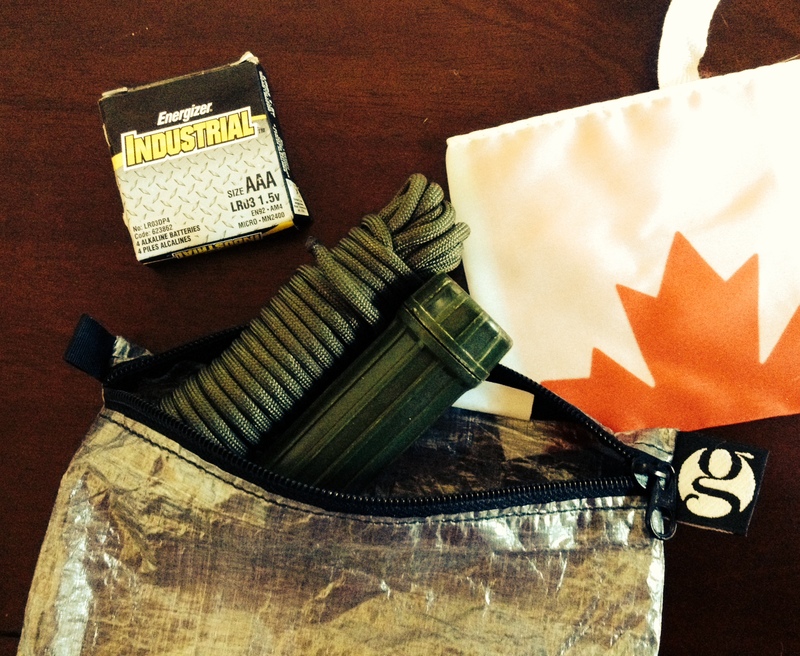 Spare paracord, matches, spare batteries, a spork (not shown) and my trusty Canada flag for picture taking! Also in the box were a pair of Sea to Summit accessory straps, which were great for attaching the air mattress to DH’s rucksack, a Paleo Eats Cro Bar and a tube of Sunsect Sunscreen & Insect Repellant Combo. Both in one tube! Used by the U.S. military! Total worth in August: $38.50. My September box arrived this week! It was heavier! Check it out! Our big item was the new insulated Stanley Vacuum Pint with bottle opener. 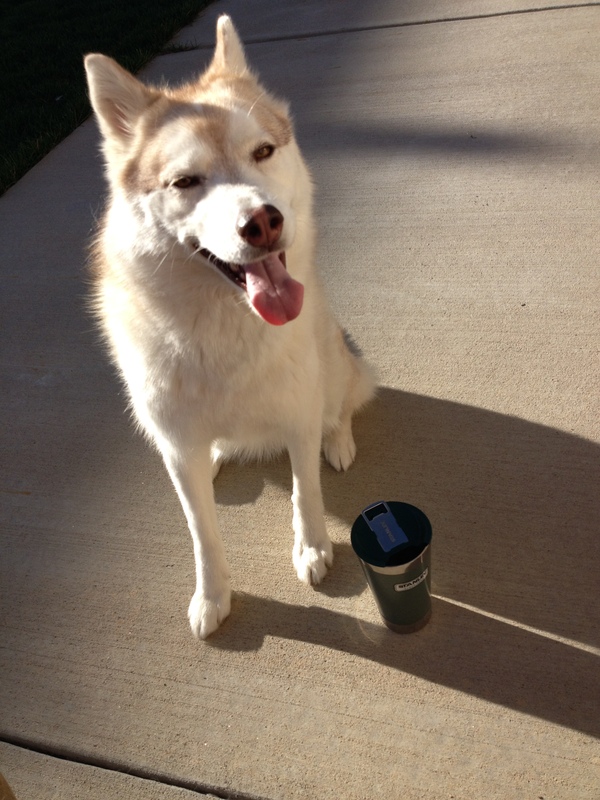 I am sure I still have my classic green Stanley thermos with insulating carrier in the basement somewhere. 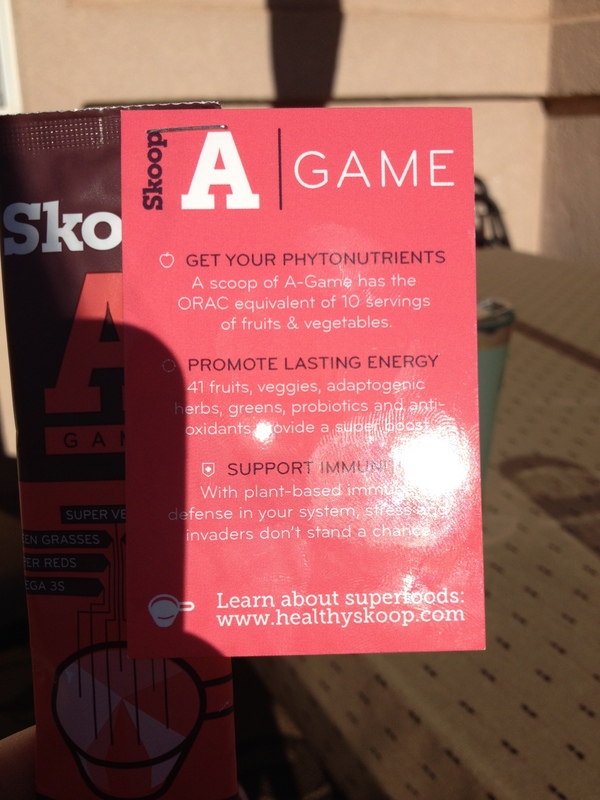 Also in this month’s box were two samples of Skoop A Game drink mix, which holds the equivalent of 10 servings of fruits and vegetables in a powder, and two samples of Sierra Sage organic outdoor first aid balms. One for muscles pains and one for stings, itches and healing. 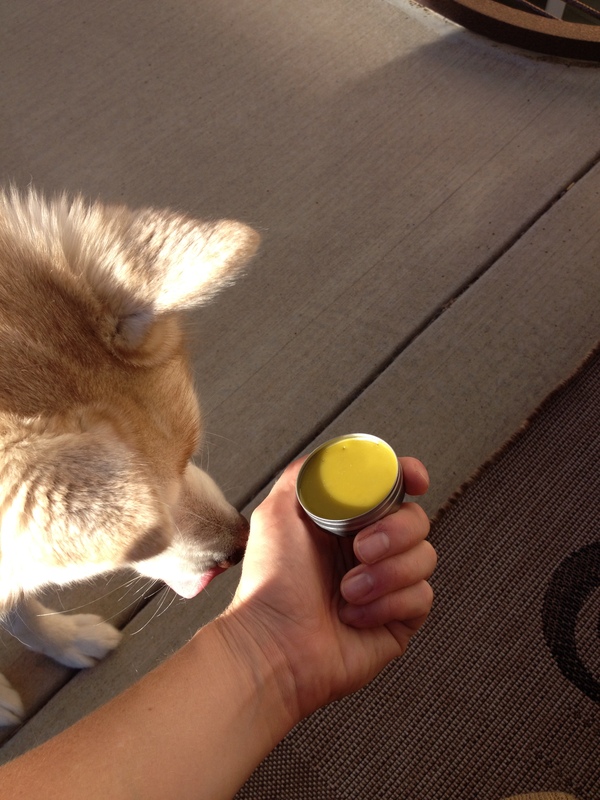 Apparently, the salve smells good enough to eat! The September box contains a worth of $42.20! 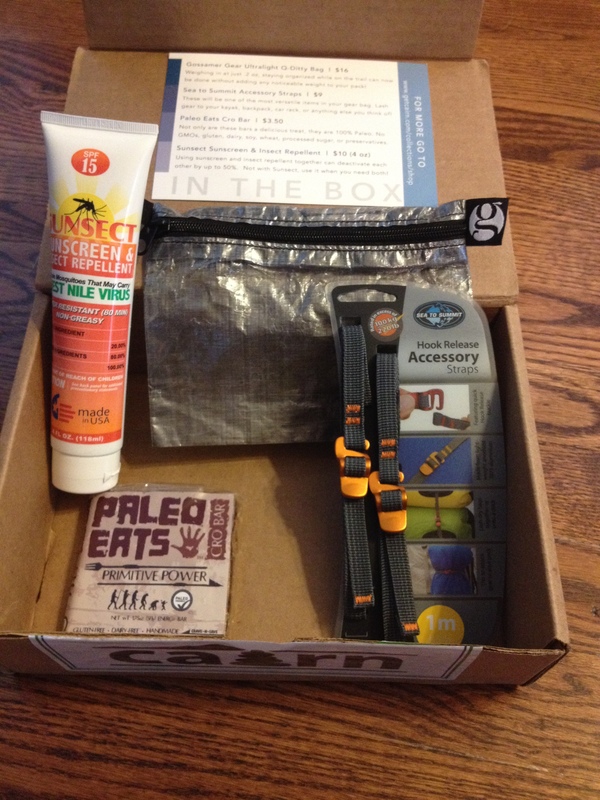 So, when I ordered my first box, I was able to use a $5 off coupon code provided by a fellow outdoor adventure blogger, Val in Real Life, making my first box only $20! I would like to pay it forward to my followers. If you liked what you saw (and here’s a list of all the boxes they’ve sent out so far and what was in them), I would like to offer you a $5 off coupon code for a new subscription as well! Yay! 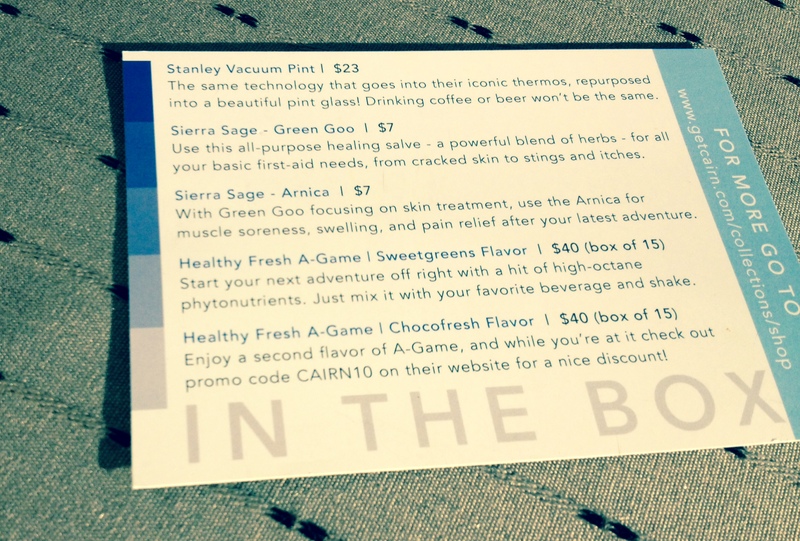 Just go to http://www.getcairn.com/products/cairn-subscription-box, use the coupon code JENNYRIGHTSIDE and Cairn will grant you $5 off your first box! Also, be sure to tell them when you sign up that Jenny Right-Side referred you with the email address jennyrightside [at] gmail [dot] com!! This offer is good through November 30, 2014!! !